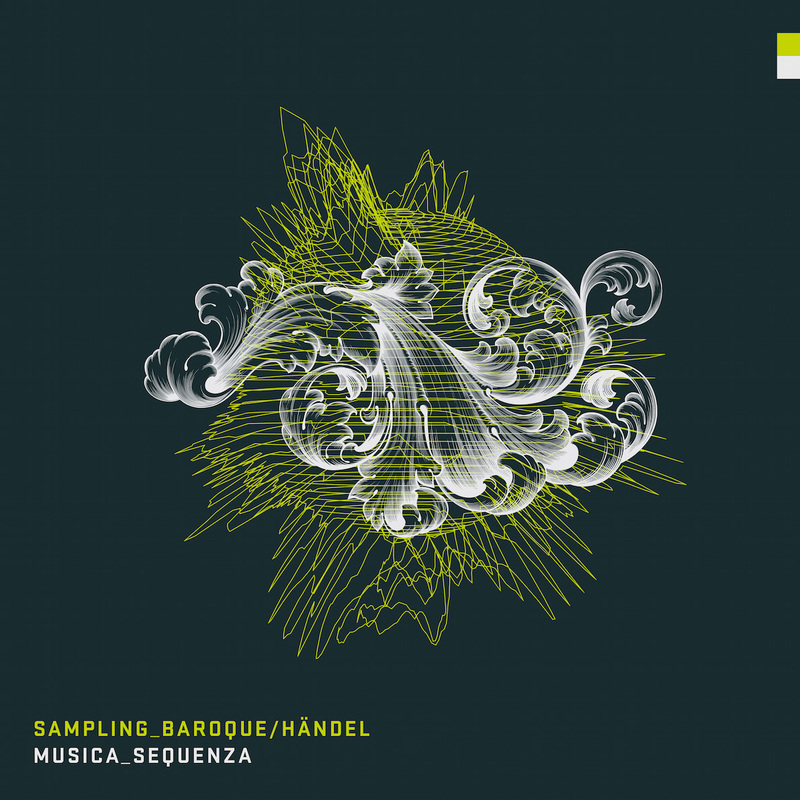 BURAK & MUSICA SEQUENZA Baroque is the new pop! Musica Sequenza was launched by composer and bassoonist Burak in New York City in 2008, standing for the innovation in classical music. The Ensemble is engaged in developing an inter-cultural artistic movement with their global production partners. With the motto “Baroque is the new pop!” Burak & Musica Sequenza has started collaborating with festivals and concert halls, advancing this artistic movement worldwide. 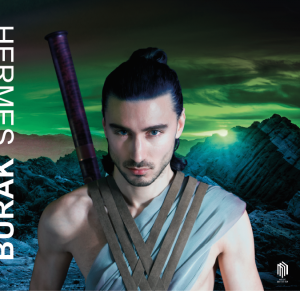 On June 7 & 8, HERMES, the new album of Burak & Musica Sequenza will premiere at Karavaan Festival in the Netherlands. In HERMES Burak has created sonic architecture in which he choreographed sound. Micro tonality and ancient Greek modalities are the foundation for the work. 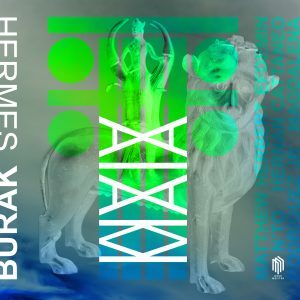 HERMES is orchestrated by voice, bassoon, strings, lute, percussion, field recordings, sound design, merged into one sensuous, disquieting masterpiece. On 19th October 2018 the new creation Atlas Passion by Burak Özdemir & Musica Sequenza had its world premiere at the Stadttheater in Schaffhausen. The project actively engages the community, using geographic information from the Bible, Torah and Koran to confront the current state of world politics. Atlas Passion is a coproduction with the Stadttheater Schaffhausen and Cinevox Dance Company. Handel’s melodies are his strength. Instantly memorable, they express the emotions of his operatic characters. Handel reused a number of them: there was no copyright in his day, nor could music be reproduced by technological means. 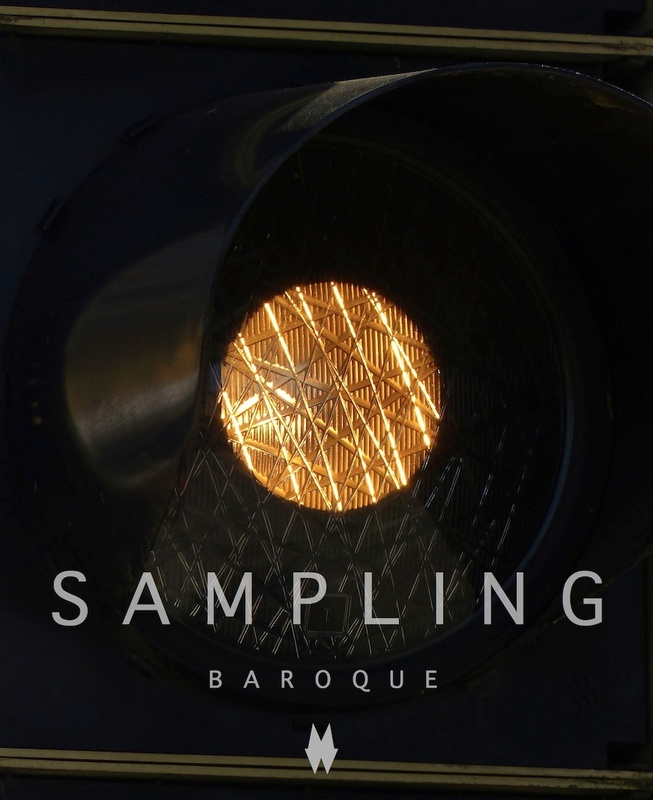 Sampling and the phenomenon of universally available music did not exist in the Age of Baroque, but today; now every aria has its own world of sound. With “The Silent Cantata”,Özdemir creates an entirely new spiritual listening experience; hence his choice of the somewhat paradoxical title for the album. “It’s this contradiction that appealed to me. The term ‘cantata’ immediately makes people think of singing, and there is no such thing as a ‘silent cantata’.” None of the cantata texts appear on the pages of Özdemir’s score, but their place is taken by the emotional power of music that conveys its message entirely without words. Choreographer Sasha Waltz celebrated the premiere of „Dialogues 20-13“ at the Festival d’Avignon. The composer and bassoonist Burak Özdemir, as well as the French painter Guillaume Bruère joined the compagnie in an artistically improvised dialogue. The dancers moved to the sound of a bassoon on a huge screen around the drawings. They immersed their hair in color pots and became painters themselves. Transmute; a digital work, characterized by strongly accented rhythm and layering of recurring musical elements. Numerous, almost noise-like sounds and the experimental design are part of Özdemir’s latest avant-garde. The motifs exist in a liquid space-time continuum, alternating between baroque and contemporary eras. The first series ‚zero gravity‘ was commissioned by the International Campaign to Abolish Nuclear Weapons. 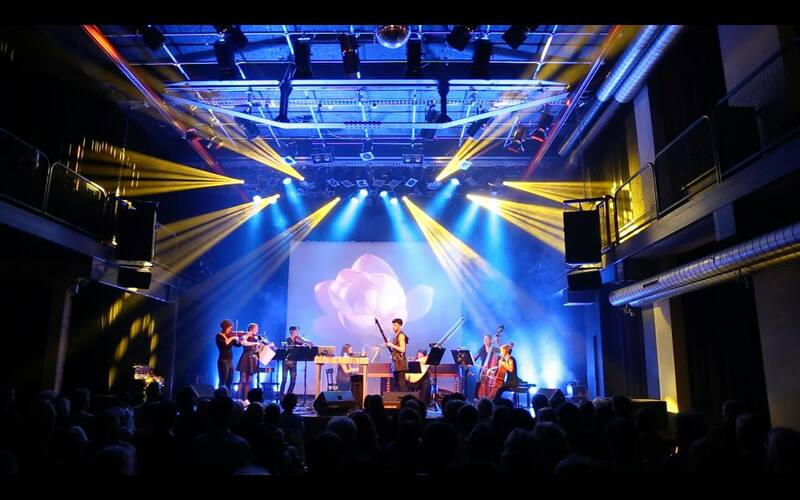 The premiere concert was performed at Umspannwerk Berlin in 2014 as a part of the discussion panels about the power plant shut downs in Germany. Transmute 2 ‘honey, where are my keys?’ was a coproduction with Early Music Biennale performed at the Radial System. Read more..
Berlin’s legendary nightclub opened its doors to celebrate its 21st birthday with Burak Özdemir & Musica Sequenza. In cooperation with KitKat Club, Özdemir presented his latest operatic production „Skin Deep Plug-ins“, a new multi-media work of the current series „Opera del Futuro“. The project follows the artistic mission; an open approach to the compositional material: a platform for both free improvisation and notated music. Burak & Musica Sequenza perform Sampling Baroque/Händel’s Turkey premiere at the 45th Istanbul Music Festival. Hosted by Bomontiada, the open-air show takes place at the Bomontiada Courtyard in Istanbul center. Before the main show, a teaser version of the bestseller program; Bach The Silent Cantata is also presented to the Istanbul audience. Human feelings – love and pain – have been immutable since ancient times. In music, they were portrayed as “affects”, with carefully delineated lines between them. These two universal feelings from the past are amongst the most valuable heritage for us. Only with and through these, can we stay close to another. Remixes by EFDEMIN, HERNAN CATTANEO, MAGDALENA, MATTHEW HERBERT, N’TO, RODRIGUEZ JR. 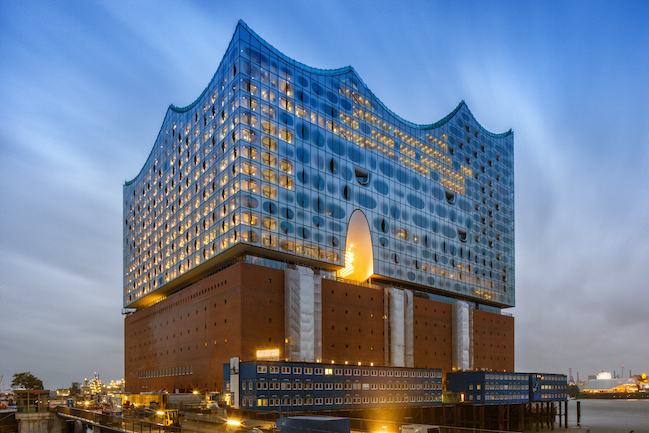 EXPLORING ELBPHILHARMONIE Burak Özdemir joins choreographer Sasha Waltz & Guests for her choreographic installation »Figure Humaine« with about 80 musicians, singers and the dancers. DARMSTADT STAATSTHEATER On March 22 Musica Sequenza performed 2 Bach programs on the same night; Sampling Baroque and Silent Cantata. Both recordings available at Stores, iTunes & Amazon. In collaboration with Sony Music and Darmstadt Staatstheater. LEEUWARDEN CULTURE CAPITAL OF EUROPE Leeuwarden, as the cultural capital of Europe in 2018, invites Burak and his latest sound production Sampling Baroque. The performance is on June 8 at Oranjewoud Festival as a part of the European capital of culture events in the Netherlands. 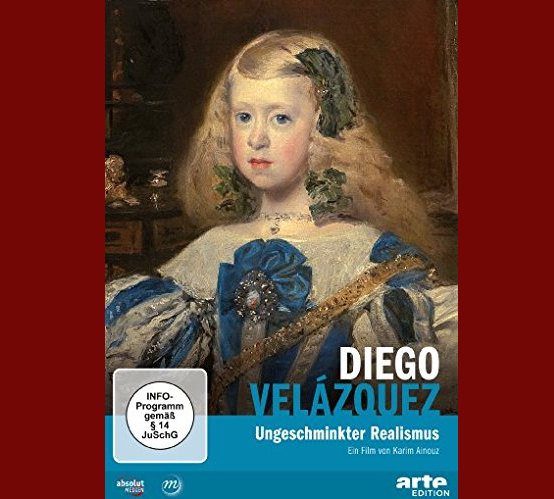 VELAZQUEZ DVD OUT NOW Burak Özdemir & Musica Sequenza received a commission by the Grand Palais Museum Paris to compose and record music for the “Velazquez” exhibition. The work was curated and filmed by Karim Ainouz, which now became an international DVD release on Arte Edition. See behind the curtains, backstage moments, tour captures and production preparations. COMING UP THE NEW ALBUM! You can be a part of Musica Sequenza’s upcoming new album. Make a donation now and join our growing family. Email us at info@musicasequenza.com. All donations are tax deductible.